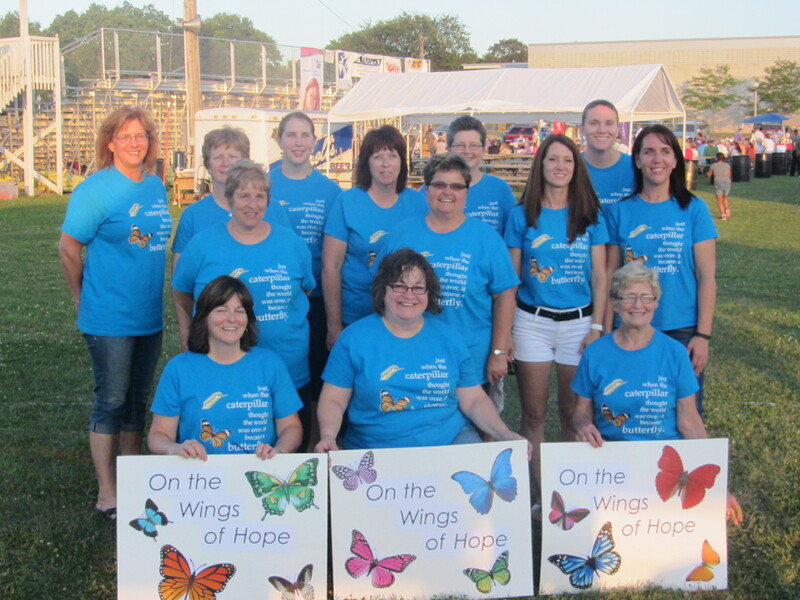 This year marks the 20th Anniversary of the Relay for Life in Brown County and its fight against cancer. With the efforts and commitment of many people and countless volunteer hours, Brown County has now obtained total donations in excess of $2,000,000! Citizens Bank Minnesota has been proud to sponsor a team for every one of those years. Through a variety of fundraisers including potlucks, a 5K walk/run, a crafters’ retreat, an employee Silent Auction and donations from friends and family, the Citizens team continues to contribute sizable donations to the American Cancer Society every year. This year we raised a whopping $24,425, bringing our twenty-year total to $198,846.72! The money raised through Relay events helps with education, prevention, treatment, and support for all cancer survivors and patients. A large portion of the money raised in Brown County stays in Brown County, helping our neighbors and friends when they need it most. At our local Relay event, we celebrate all cancer survivors, remember loved ones lost and learn how each of us can do more to fight back against this dreaded disease. Citizens Bank Minnesota is in the fight for a CURE!